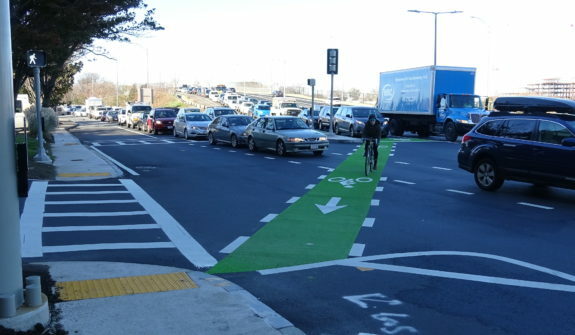 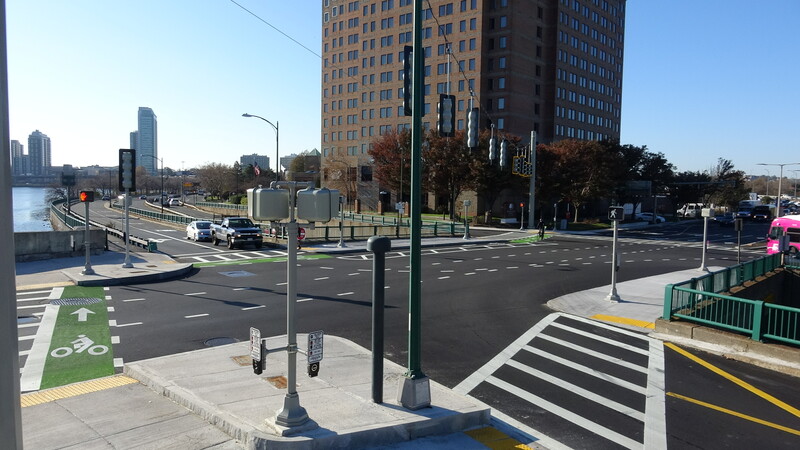 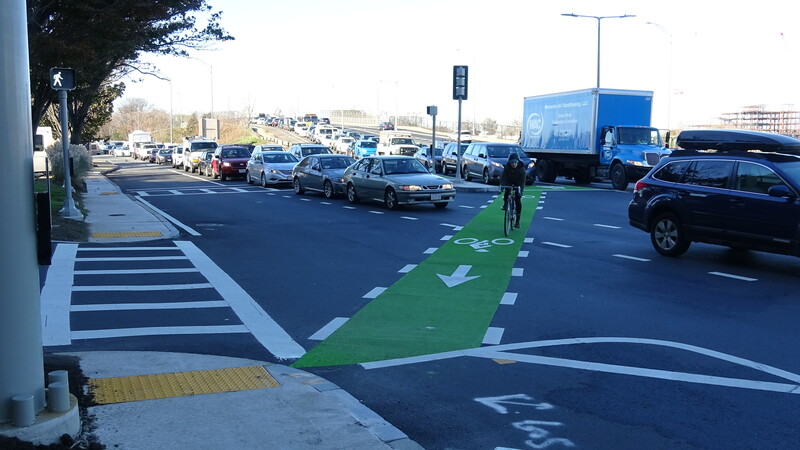 As part of MassDOT’s River Street Intersection improvement project, HSH designed and oversaw construction of safety and mobility improvements along DCR’s Paul Dudley White Path. 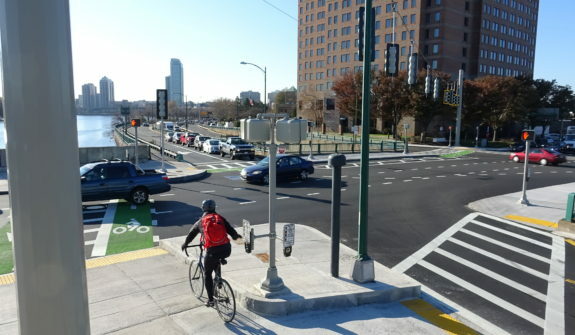 The reconstruction of the intersection of River Street/Soldiers Field Road provided a unique opportunity to implement multi-modal infrastructure improvements along this highly traveled recreational corridor. Through a Complete Streets approach, HSH advanced a solution for cyclists, pedestrians, and vehicular traffic. 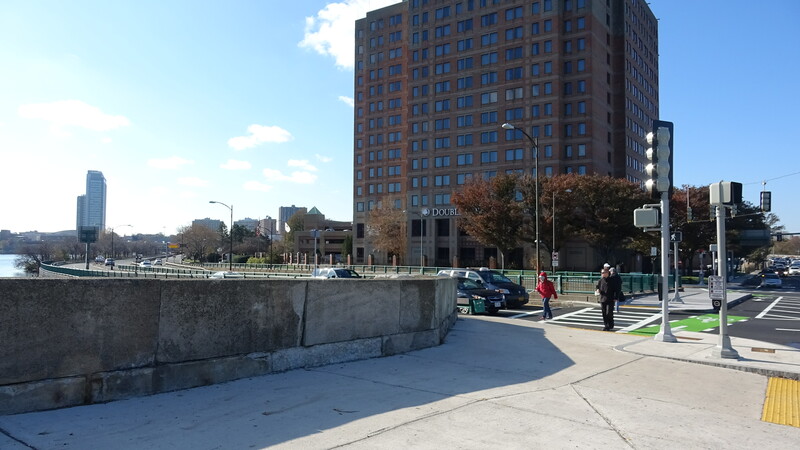 At this intersection, the Paul Dudley White Path was at its most narrow width inside the Charles River Basin. 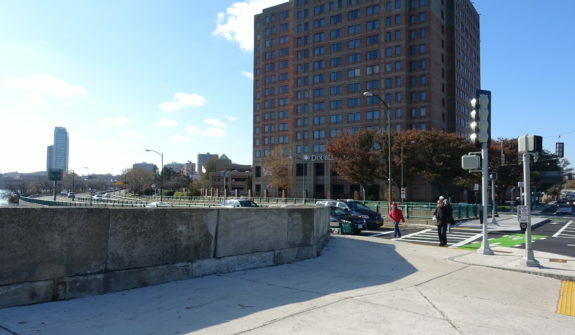 Referred to as “the narrows” by local path users, the usable space was enlarged to better accommodate cyclists and pedestrians waiting to cross River Street and reconnect to the Path. 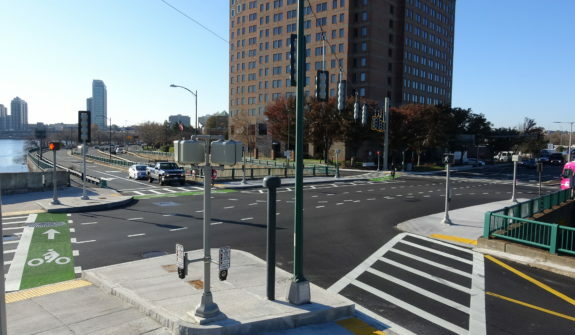 This new ADA/AAB-compliant space then transitioned to highly visible and separate bicycle and pedestrian crossings. 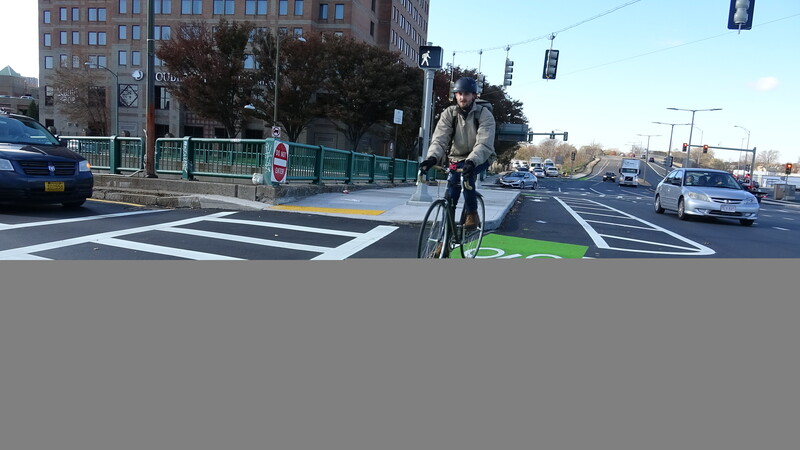 Connectivity was improved not only along the narrows, but also crossing the river from Boston to Cambridge. 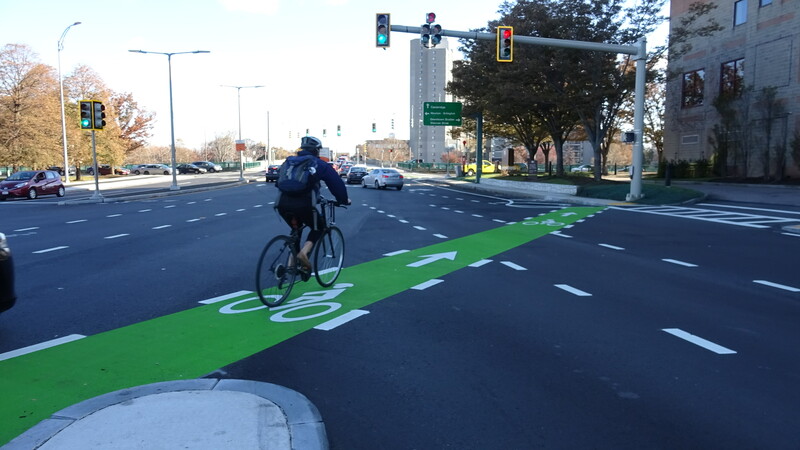 The plan was developed through MassDOT, in coordination with DCR, and with a robust public involvement plan led by HSH that sought input from WalkBoston, LivableStreets Alliance, MassBike, and the cities of Boston and Cambridge.